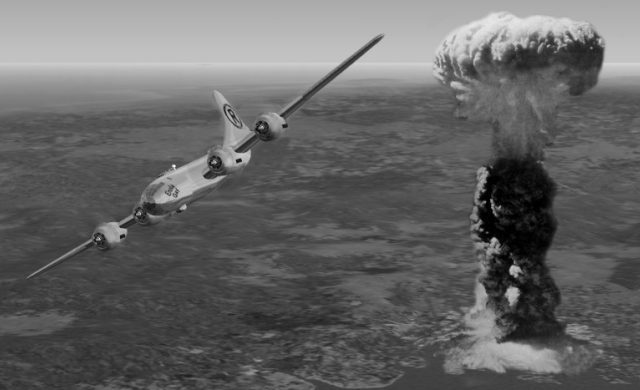 On August 6, 1945, the world (unfortunately) entered the atomic age. Without warning, a single nuclear bomb on the Japanese city of Hiroshima killed about 90,000 people instantly and injured many others – who then died from radiation sickness. Three days later, a second atomic strike on the city of Nagasaki killed some 37,000 people and injured another 43,000. Together the two bombs eventually killed an estimated 200,000 Japanese civilians. A very important point made above, how can we really know anything about American history if a significant portion of it remains classified? That being said, how can we really know anything about American history when we have so many examples of dishonesty and misinformation? What will the history books say about 9/11? We will have to wait and see, but what our history books tell us about the atomic bomb and why it was dropped seems to be a complete lie, according to what are some very credible sources. We are often taught that yes, use of the atomic bomb was necessary to end the war with Japan at the earliest possible moment, but judging by the statements of many high ranking political and military personnel this is simply not the case. “Since I entered politics, I have chiefly had men’s views confided to me privately. Some of the biggest men in the U.S., in the field of commerce and manufacturing, are afraid of somebody, are afraid of something. They know that there is a power somewhere so organized, so subtle, so watchful, so interlocked, so complete, so pervasive, that they had better not speak above their breath when they speak in condemnation of it.” – Woodrow Wilson, from his book entitled The New Freedom (1913). He said this despite the fact that most prominent scientists were completely against it. The scientists involved with the Manhattan project even wrote to the Secretary of Defense to try and encourage him not to drop the bomb. So ask yourself, why did they really drop the bomb? A number of theories have been purposed; history.com outlines how it could have been dropped to demonstrate a new weapon of mass destruction to the Soviets. In 2005, new scientist alluded to the same thing, claiming that it was done to kick start the Cold War. What I am trying to do here is get readers to think. If it was clearly unceccessary to drop the bomb, if it didn’t have to be done, then what is the justification? Despite the fierce opposition from various military and political leaders, and the fact that Japan was ready to surrender, it was still dropped. War is completely unnecessary, and there are always those who seem to thrive off of creating conflict. 9/11 is a perfect example, a supposed “terrorist” attack used to justify the infiltration of the Middle East. Have we learned from our mistake? The fact that nuclear weapons even exist is a discouraging fact, and I am ashamed to be a part of a race who has developed so many of them. It would be great if we could use our brilliant minds/science to advance ourselves as a civilization, not destroy it.